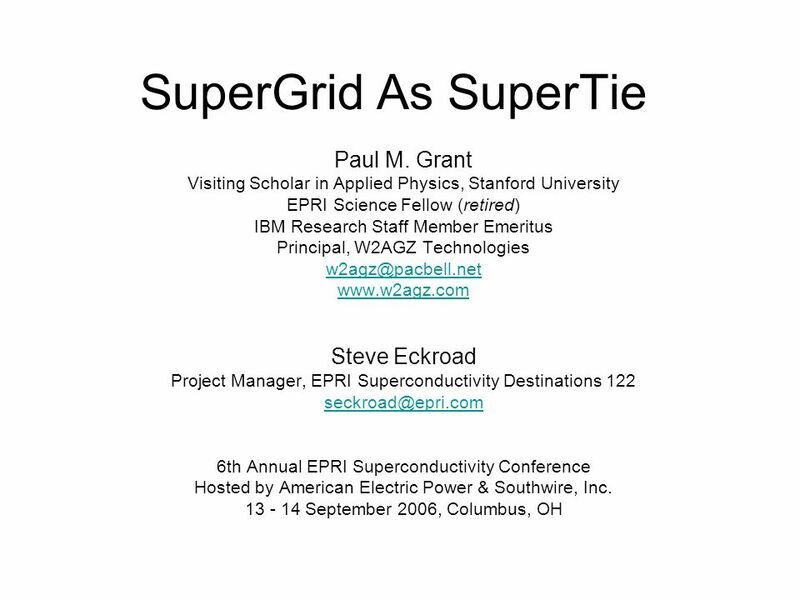 SuperGrid As SuperTie Paul M. Grant Visiting Scholar in Applied Physics, Stanford University EPRI Science Fellow (retired) IBM Research Staff Member Emeritus. 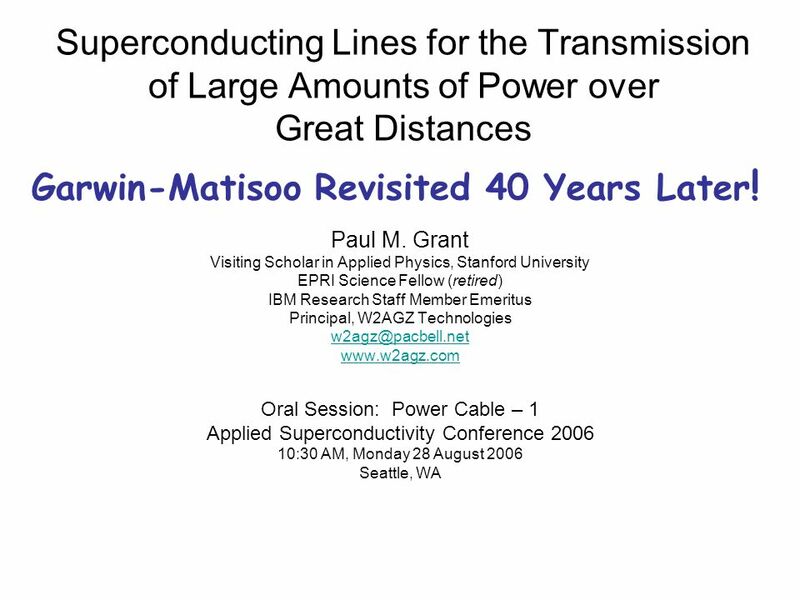 3 Superconducting Lines for the Transmission of Large Amounts of Power over Great Distances Paul M. Grant Visiting Scholar in Applied Physics, Stanford University EPRI Science Fellow (retired) IBM Research Staff Member Emeritus Principal, W2AGZ Technologies w2agz@pacbell.net www.w2agz.com Oral Session: Power Cable – 1 Applied Superconductivity Conference 2006 10:30 AM, Monday 28 August 2006 Seattle, WA Garwin-Matisoo Revisited 40 Years Later ! 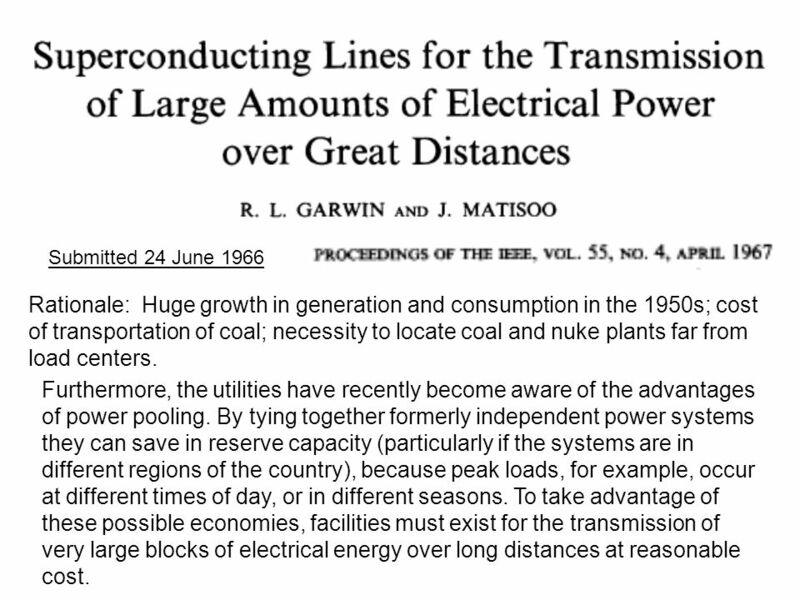 4 Submitted 24 June 1966 Rationale: Huge growth in generation and consumption in the 1950s; cost of transportation of coal; necessity to locate coal and nuke plants far from load centers. 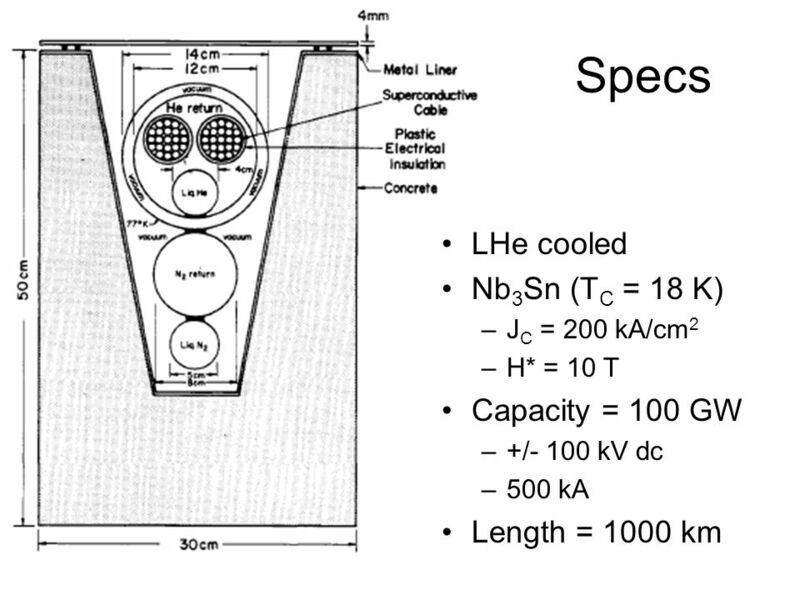 Furthermore, the utilities have recently become aware of the advantages of power pooling. 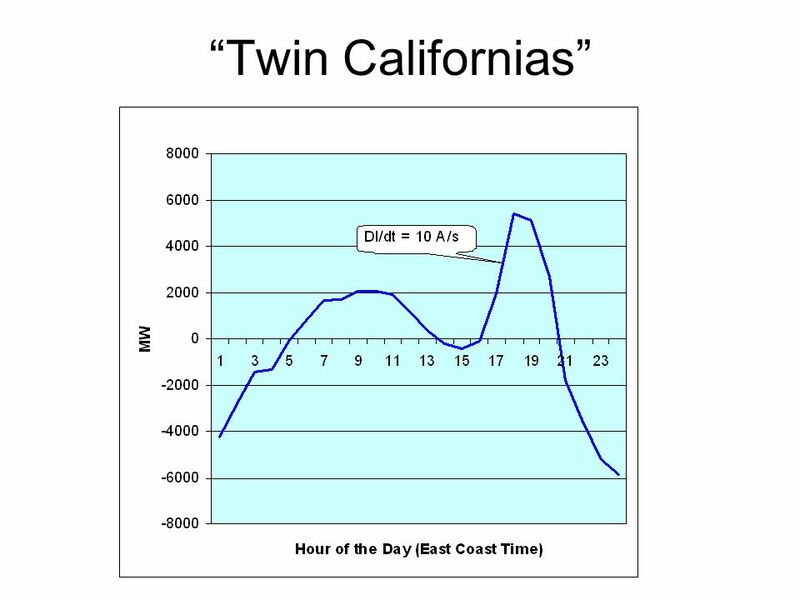 By tying together formerly independent power systems they can save in reserve capacity (particularly if the systems are in different regions of the country), because peak loads, for example, occur at different times of day, or in different seasons. 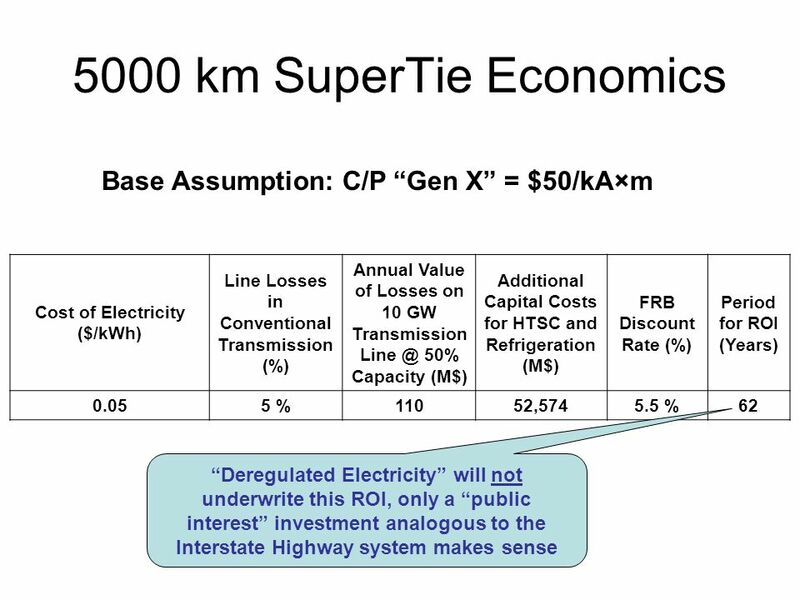 To take advantage of these possible economies, facilities must exist for the transmission of very large blocks of electrical energy over long distances at reasonable cost. 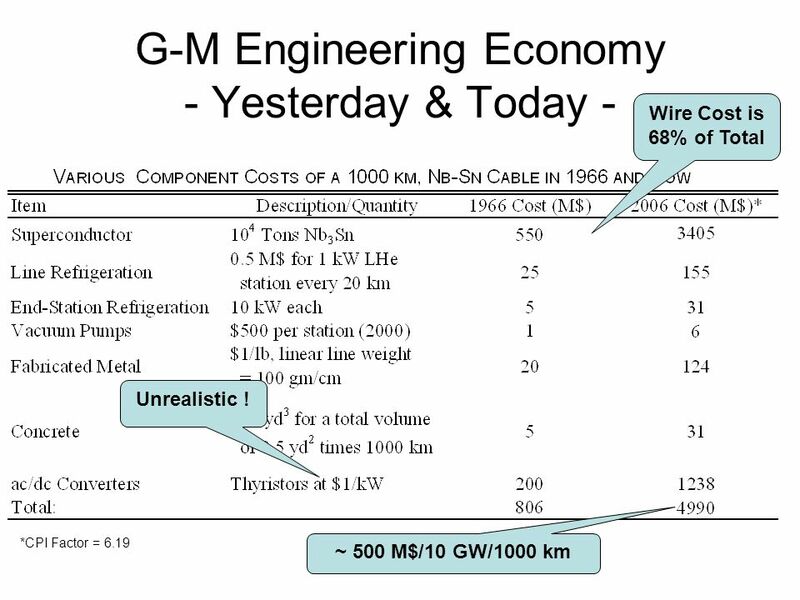 6 G-M Engineering Economy - Yesterday & Today - ~ 500 M$/10 GW/1000 km Wire Cost is 68% of Total *CPI Factor = 6.19 Unrealistic ! 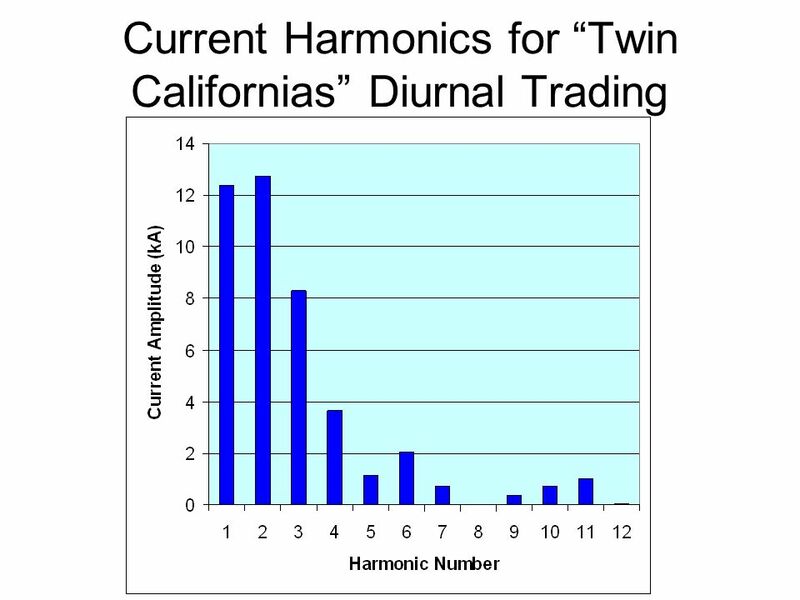 15 Twin California Trading Losses Harmonic, nI n (kA)f (μHz) W H (kW/5000 km) 112.411.61.8 212.823.23.8 38.3134.72.4 43.6746.36.2 Total8.7 No Problem! 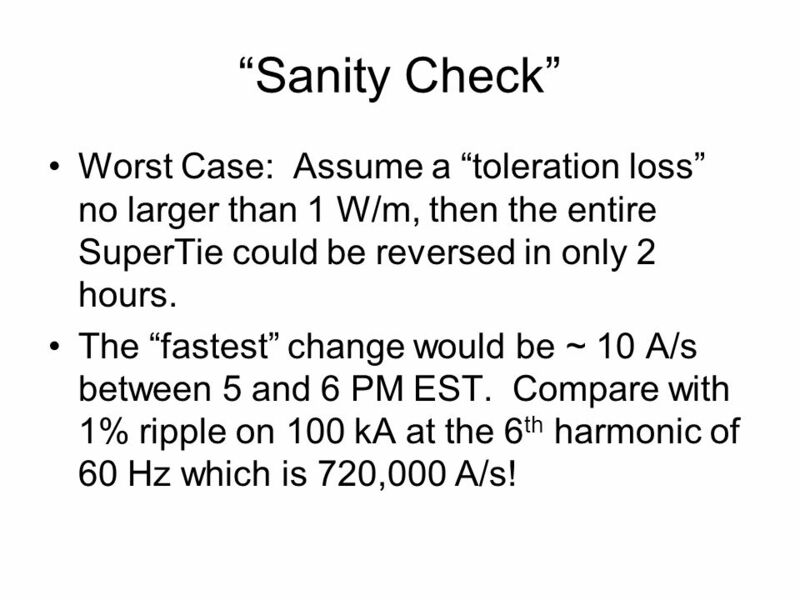 16 Sanity Check Worst Case: Assume a toleration loss no larger than 1 W/m, then the entire SuperTie could be reversed in only 2 hours. 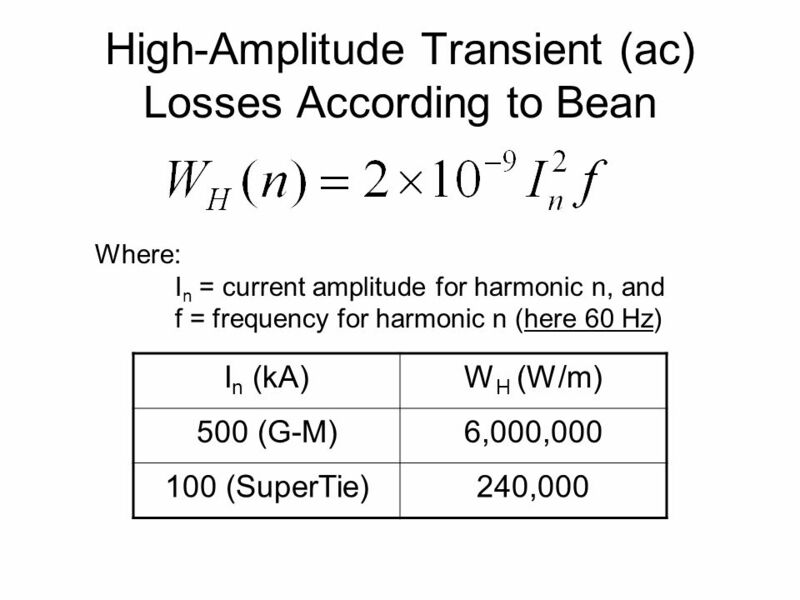 The fastest change would be ~ 10 A/s between 5 and 6 PM EST. 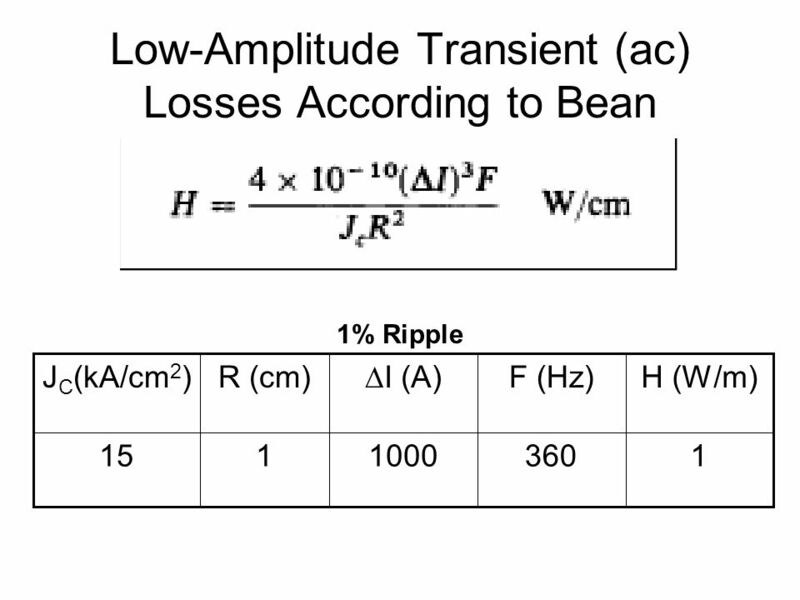 Compare with 1% ripple on 100 kA at the 6 th harmonic of 60 Hz which is 720,000 A/s! 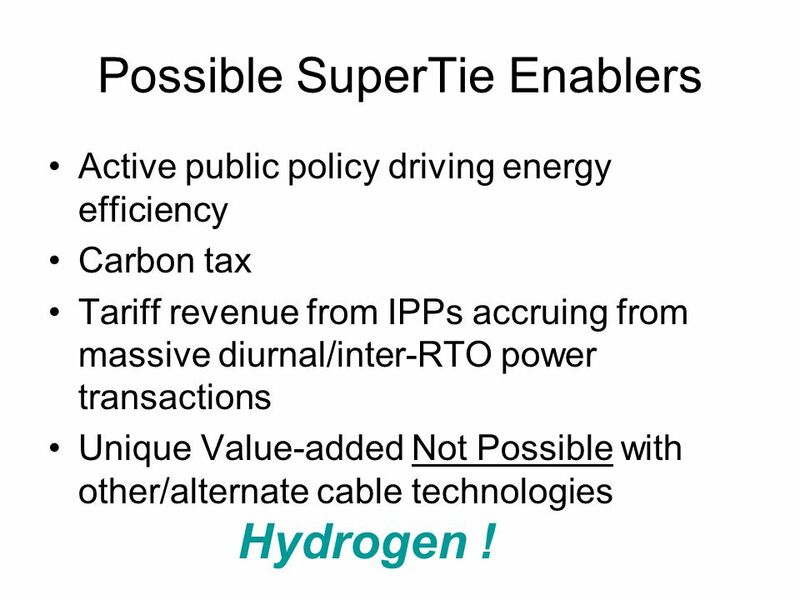 18 Possible SuperTie Enablers Active public policy driving energy efficiency Carbon tax Tariff revenue from IPPs accruing from massive diurnal/inter-RTO power transactions Unique Value-added Not Possible with other/alternate cable technologies Hydrogen ! 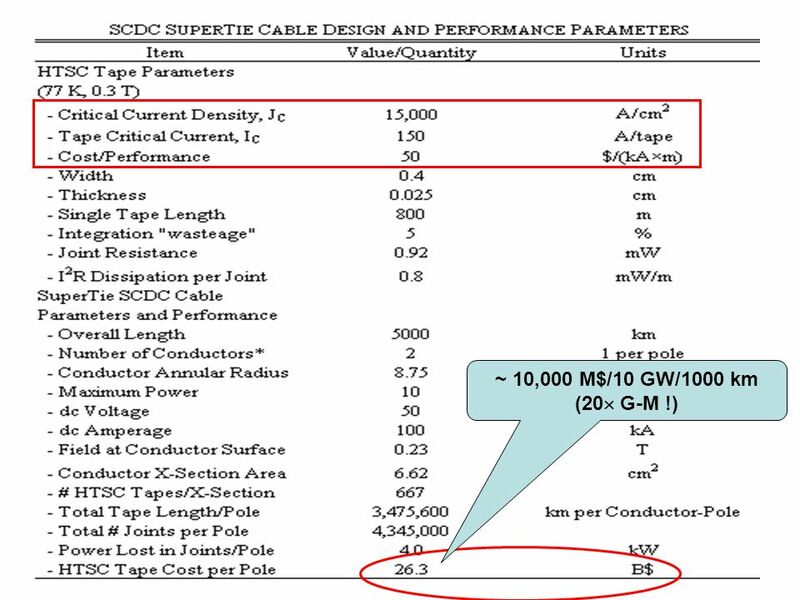 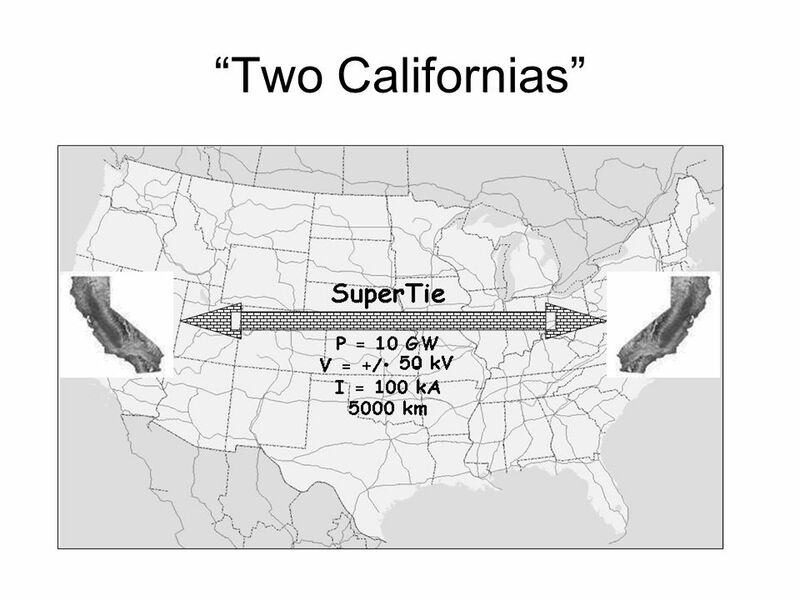 Download ppt "SuperGrid As SuperTie Paul M. Grant Visiting Scholar in Applied Physics, Stanford University EPRI Science Fellow (retired) IBM Research Staff Member Emeritus." 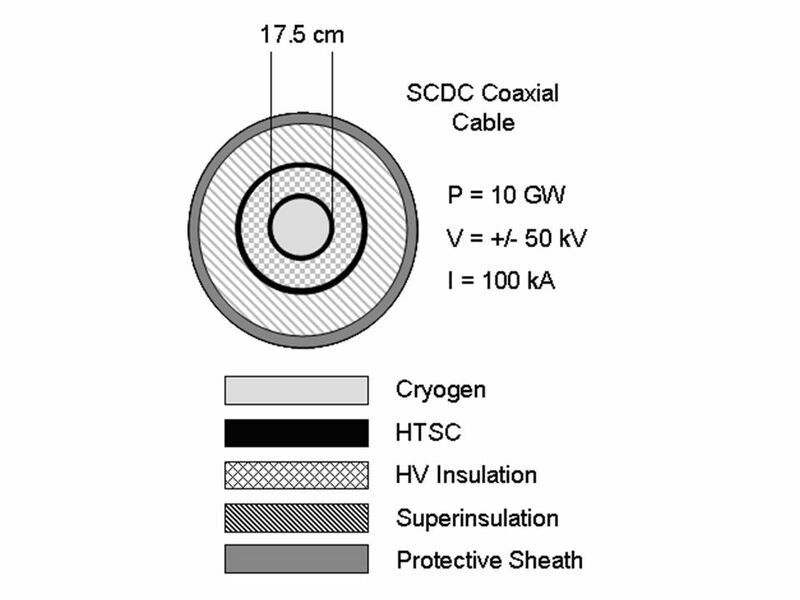 HTS Wires for Energy and Magnet Technologies Superconductivity and the electricity supply industries November 27th, 2003. 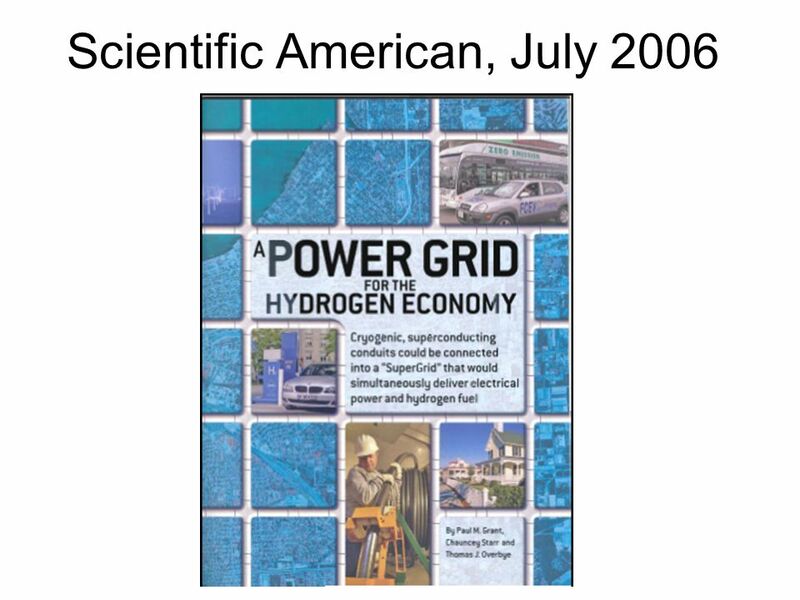 F LORIDA S OLAR E NERGY C ENTER Creating Energy Independence Since 1975 A Research Institute of the University of Central Florida 1 Taking Charge of Our. 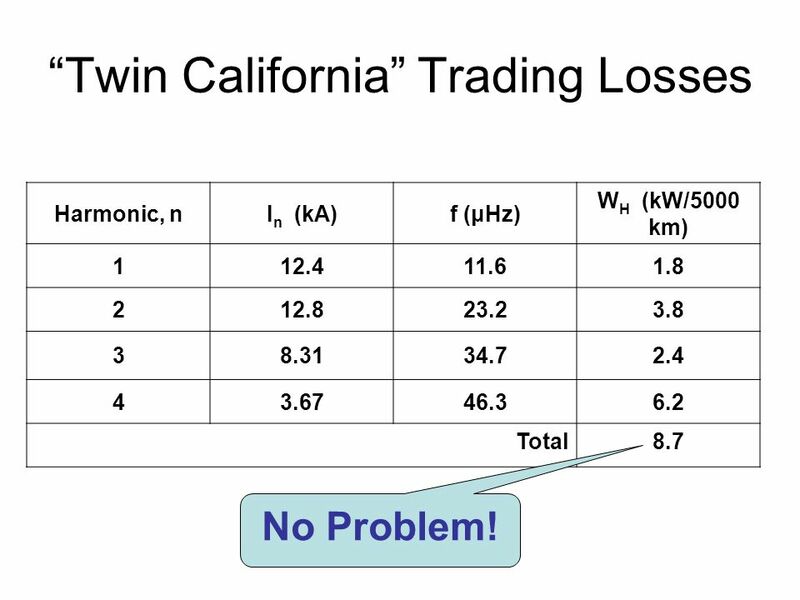 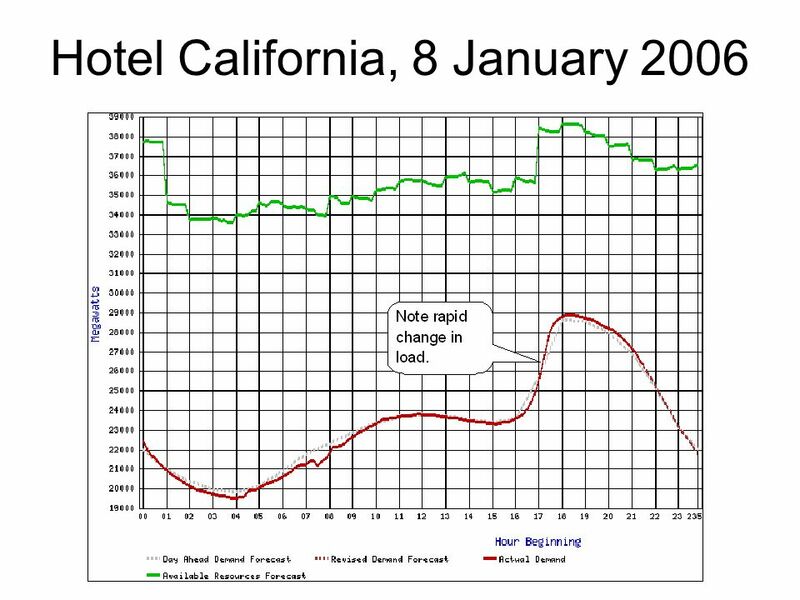 Electricity Efficiency in Californias Future Mark D. Levine Sacramento, CA May 24, 2006.